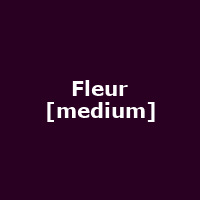 "Fleur is a medium. This doesn?t involve conjuring up magic tricks, moving objects or furniture, nor (and especially not in Fleur?s case) does it involve a crystal ball, incense sticks or any other cliché you might find down Sunset Boulevard. It involves compassion and an alternative to traditional methods of therapy related to grief and dealing with loss."